The first official practices of the 17-18 college basketball season are in the books and Paint Touches is celebrating by counting down every Marquette opponent from worst to first. Each preview will contain a look at how the opponent did last season, who they lose, who they gain, reasonable expectations for their season, and our own prediction of how their matchup(s) with Marquette will go. This series will start with the most under of underdogs and progress all the way up to most unbeatable of opponents. Today we look at the best cupcake on Marquette’s menu, a decent but still very beatable Eastern Illinois squad. • Eastern Illinois is shaping up to be the best of the buy games that Marquette should win easily. A season ago the Panthers were a .500 team with a kenpom hovering around 200. With most of their production returning and solid crop of JUCOs on the way in, they should improve on or at very least repeat last year’s efforts. • Leading scorer Demetrius McReynolds is gone and replacing the production is going to fall to the returners in the Panther backcourt. First up is the diminutive Terrell Lewis. The 5-7 St. Louis product was the primary floor general for Eastern Illinois last season averaging nearly 5 dimes a game. His scoring comes primarily from beyond the arc with 72 of his 95 makes last season coming from range. When he shoots 39% from that distance, that is acceptable. • The second leader in the backcourt is Cleveland native and former juco transfer Montrell Goodwin. Goodwin was a bit of a silver collector as he was second on the team last season in points, assists, steals, and 3PM. He was the most accurate shooter from deep at 39.1%. Paired with Lewis the Panthers have a potentially lethal shooting duo. • Roaming the post for Eastern Illinois is big man Muusa Dama. Dama is originally from Benin and has not been playing basketball long but has developed into a force in the post. He came within less than 1 point and half a rebound a game from averaging double double last season. He ended up with eight double doubles and 13 double digit rebounding games, including 3 in a row to close out the season. Dama is a terror on the defensive end, altering many shots and simply erasing others with his 2.2 blocks per game. • Coach Spoonhour brings in a solid crop of four JUCOs to bolster his already experienced roster. Three of the four were starters and double digit scorers for the JUCOs while the fourth was a key reserve at South Plains College, largely considered the #1 JUCO program in the country last season. The player most likely one to make an immediate impact is D’Angelo Jackson. Some Wisconsin natives might recognize the name, Jackson played for Case High School in Racine, WI and was the 2014 All-Racine County Player of the Year. At 6-5, Jackson has the size to play the wing but has excelled at the point. With Highland College he averaged over 15 points, 7 rebounds, and near 3 assists per game. An opposing coach described him as impossible to defend 1 on 1. His big falling is his outside shot, he went a miserable 2 for 9 from deep last season. Fortunately for the Panthers, Lewis and Goodwin likely have the three pointers covered. • With 5 seniors, 6 juniors, and only 2 underclassmen on the roster, the Panthers will be one of the most experienced teams in the country. Of all the “easy win” buy games, this is the one that is going to give Marquette the biggest challenge. 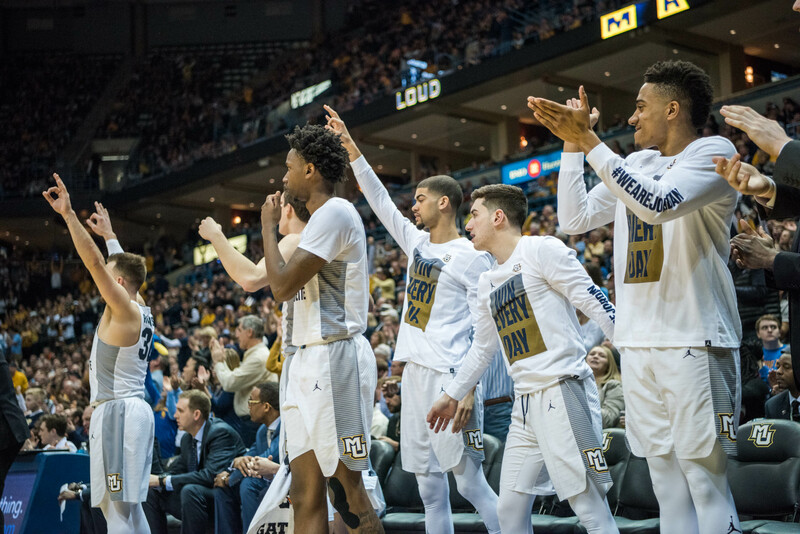 The Panthers are the first team will Marquette will see after the Maui invitational. Expect this game to be uncomfortably close for a while before Marquette gets it together and pulls away in the second half. Dama will give Matt Heldt and Theo John a legitimate challenge in the post, though he is the only player who is any good who is taller than 6-6. Get him out of the game early and Marquette could cruise to blowout. Marquette ends up winning by around 15.